My random thoughts…science, tennis, transitioning from a trainee, baking, and more! Hello there bloggies! Another week has come and gone. That’s means it’s time for Fitness Friday. This past Monday was Patriots’ Day here in Massachusetts (and also in Maine, which I just learned from a colleague). 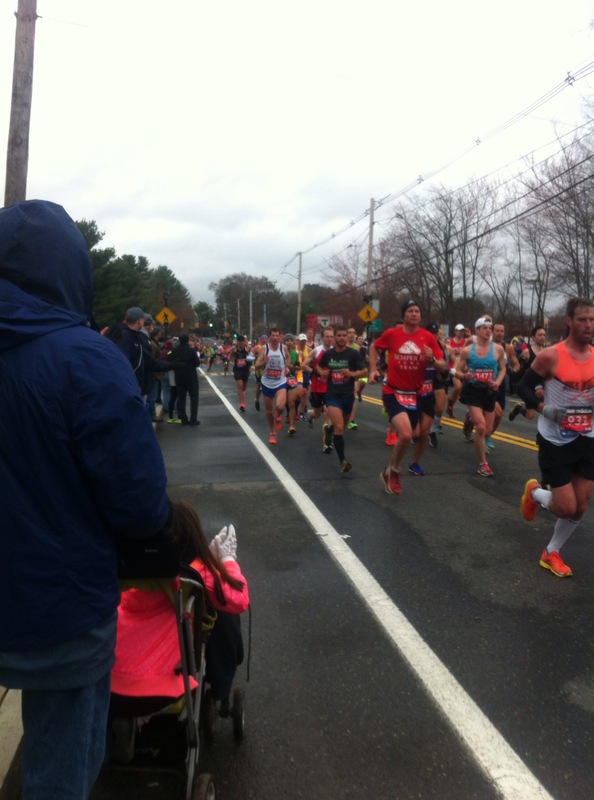 Patriots’ Day means one thing: the Boston Marathon. 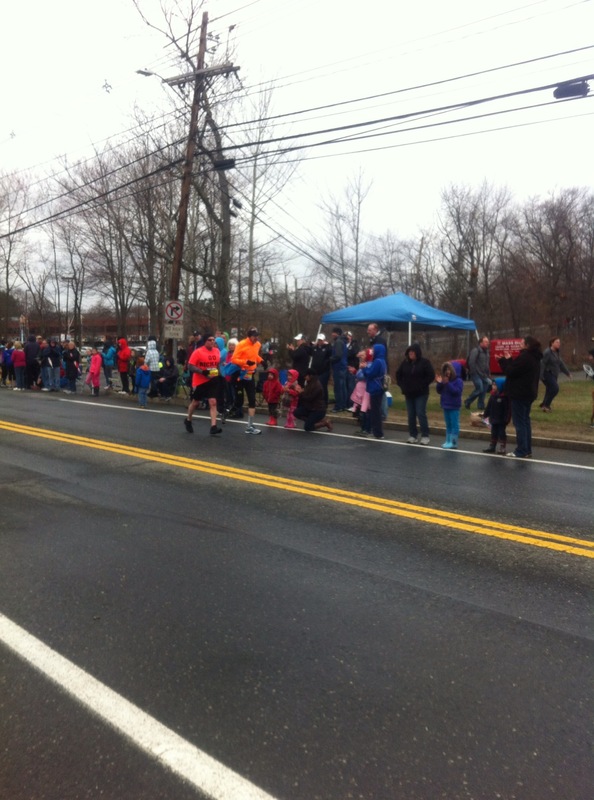 Ever since I was a little kid, I remember watching these incredible athletes are normal people running this ridiculous distance, unofficially marking the start of spring in Massachusetts. 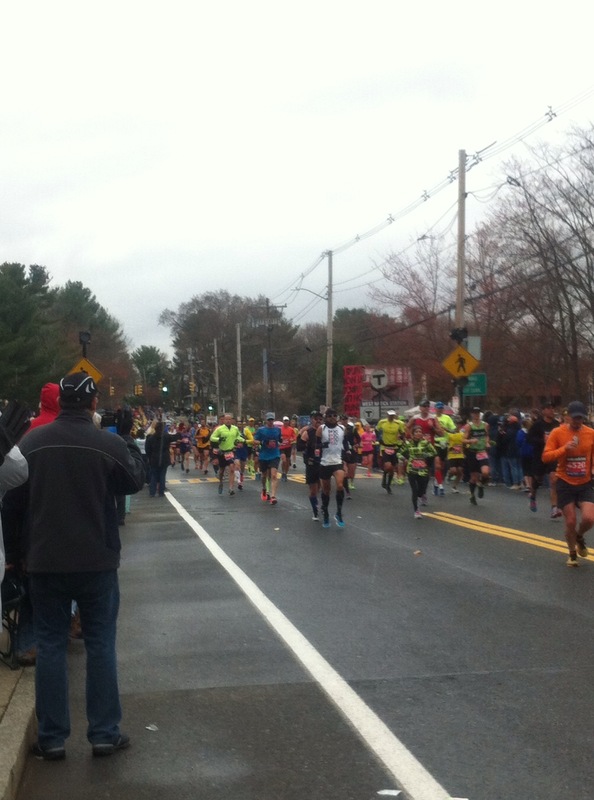 I actually live right by the marathon course. A couple of friends and I braved the absolutely freezing and rainy weather and made the short walk to the course. If these crazy people could run 26.2 miles, then I could stand outside and clap them along. 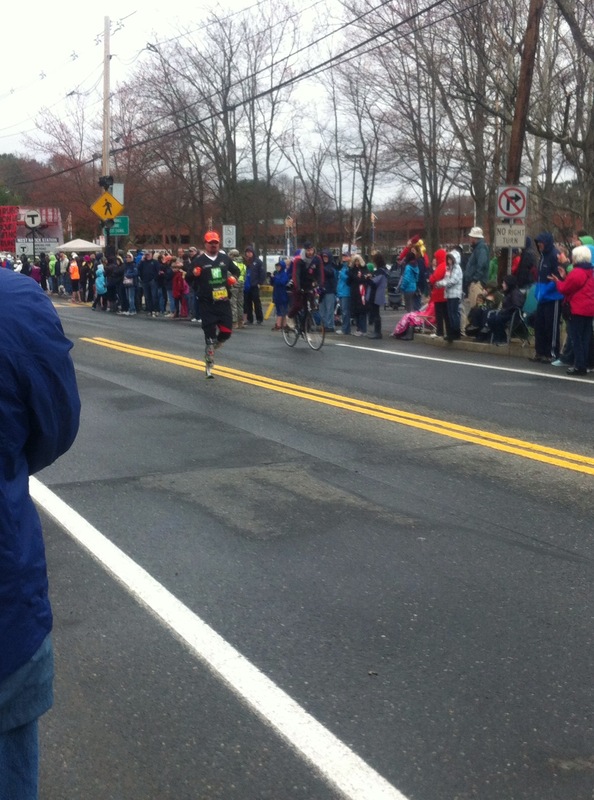 For those unfamiliar with the marathon, the elite runners aren’t the first ones to make their way down the course. The wheelchair, hand bike, and mobility impaired are the first ways to start. This includes people with prosthetic limbs and survivors of the terrible attacks two years ago. 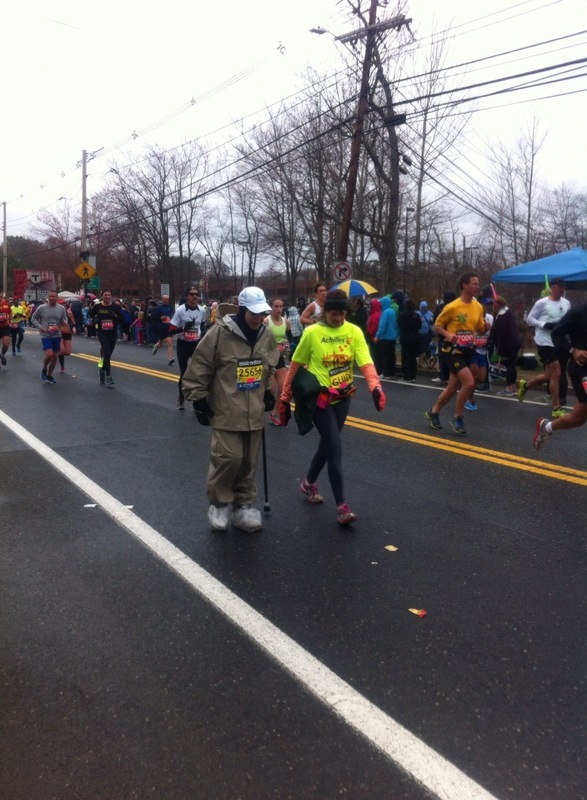 There was one man with a prosthetic leg using crutches to make his way down the course. I would have fallen over and crashed after a mile! 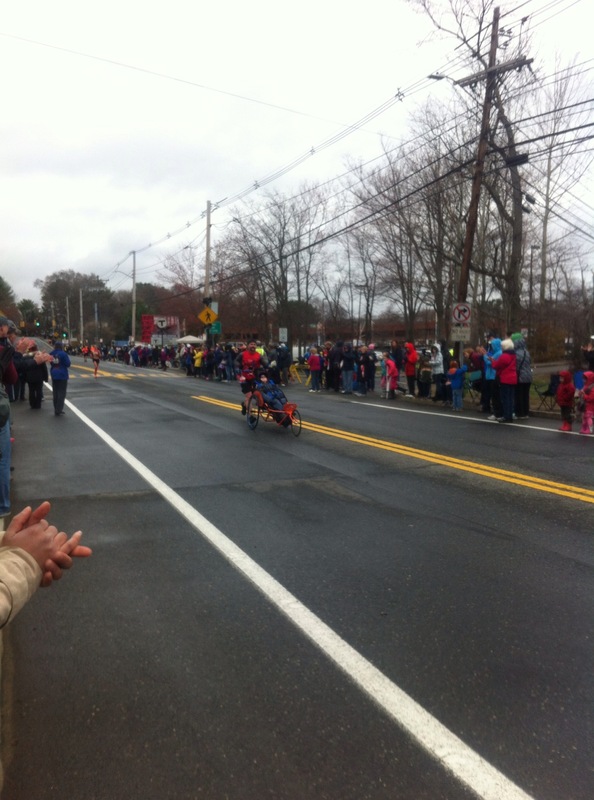 Another women had two prosthetic limbs and was running merrily down the 26.1 mile course. This was true inspiration. The next time I feel overwhelmed or tired during my own run/workout, I am just going to think of these incredibly strong individuals. Next, of course, came the elite runners, the people who would actually place and win the race. They are incredibly determined and focused athletes. Their wills to keep running and to keep going faster and faster are insane. I can’t imagine the sort of discipline and determination needed to run sub 5/6-minute miles for 26 straight miles. But, to me, the Boston Marathon isn’t about the elite athletes. It is about the everyday person who decides to train and run a marathon. They are the ones who are really pushing themselves beyond their own imaginations. They are the ones who need the crowd. That’s why my friends and I were there! Almost everyone is wearing their names on their shirts or have some distinctive feature on their clothes. We were sure to be clapping (though the gloves we had to wear since it was so cold muffled the claps) and shouting encouragement to everyone past us. I’m not sure how many names, states, countries, or wonder women I cheered on specifically. But, the little smiles across their faces as they pressed on were incredible. It’s truly an amazing sight to see someone reach for a crazy goal and achieve it. They had all participated in the Boston Marathon. To me, the Boston Marathon is and will always be one of the most positive events. It is about overcoming obstacles, accomplishing goals, and raising awareness for a lot of fantastic causes. Maybe one day I’ll find a way to run it, but I know that I will always love watching it down to the very last runner. Thank you all for stopping by Fitness Friday! Have any of you ran or been to the Boston Marathon? What are some of your favorite parts? Comment below or on twitter @DrFsThoughts. 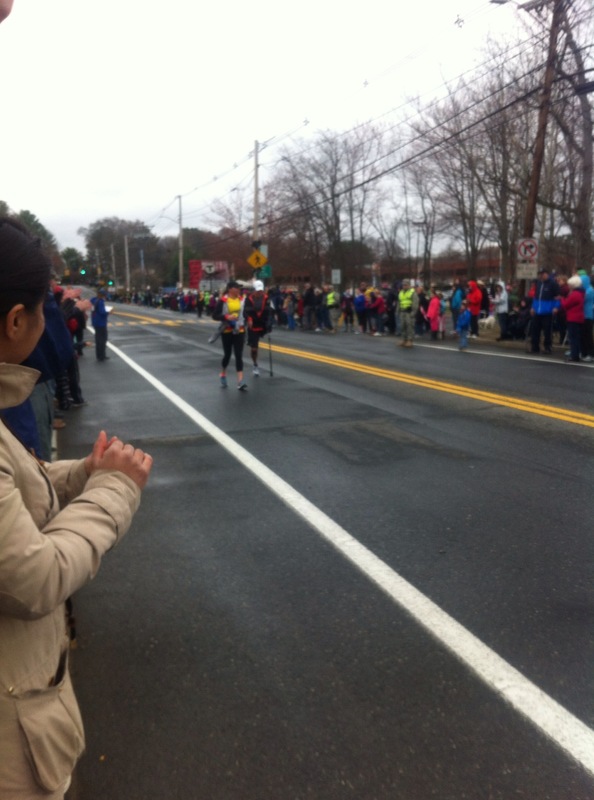 PS I’ve included some pictures from the Marathon!! Previous Previous post: Wishful Wednesday: Look here! Another book update! Next Next post: Science Sunday: Newt Gingrich wants to double NIH budget? Cool Post. I Just signed up for the Philadelphia Triathlon. Not ready for a marathon yet! Thanks! I’ve done a half-marathon. Will need a lot more mental training to do a full. Good luck with your triathlon! What do you miss most about academia? Damn it….my fave player is slumping! !